The most frequent question I receive when I finish a Genoa traditional cooking class or a Genoa food tour ,just before saying good bye is: where can we eat traditional Italian Riviera cuisine tonight? 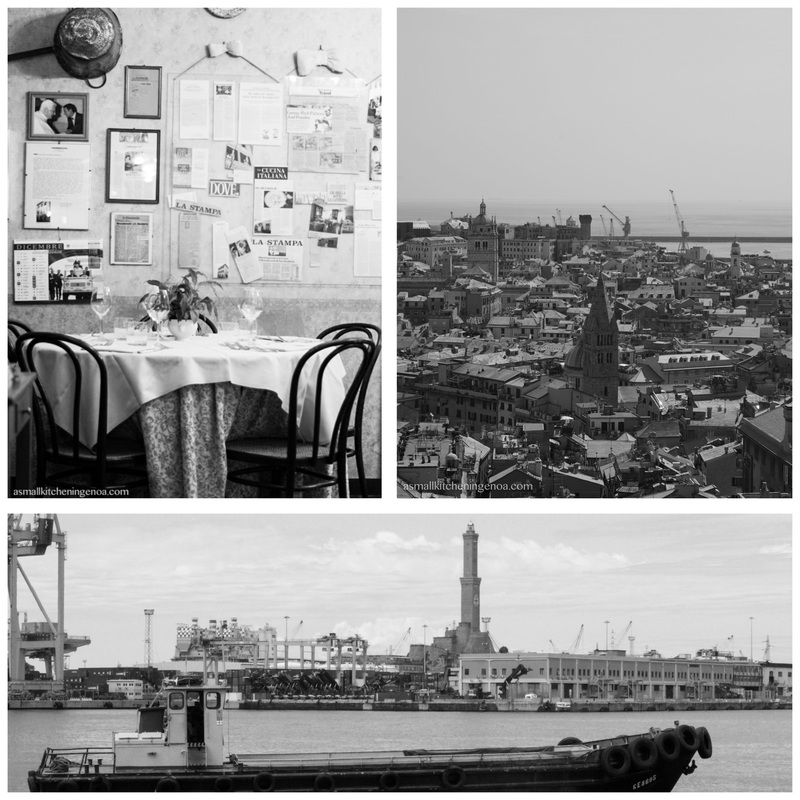 Can you suggest us a good traditional restaurant in Genoa? I do love these questions. They mean that, someway, my endless chatters and stories on Genoa culinary customs or the traditional dishes we prepared together indeed made them more interested in Ligurian food culture. They get curious enough that they want to taste more, to explore more, to find confirmation of my tales or just to make their own opinion on our traditional cuisine. I therefore decided to collect my thoughts once and for all and write this short list of the best restaurants in Genoa where to taste real Italian Riviera cooking – on my humble opinion, of course. I divided them into four main groups according to the area of the city where they are located (if you click on the street the relevant google map will open), as I think this will make it easier for people to choose according to their accommodation in town or to their planned journeys. You will find also the average price and the closing day during the week. I higly suggest, for all these places, to book the table in advance also for checking if the restaurat is actually open as vacations period are approximate. Closing day: Monday at lunch. This restaurant backdates at the 17th century when it was used to serve codfish to the seafarers arriving in the port of Genova (originally located where now stands the Porto Antico leisure area). The atmosphere is that of an ancient mariner tavern: vaulted ceilings made of bricks, simple furniture, menu written on a small chalkboardand varying daily according to the available fresh ingredients. Here you can still taste codfish (“stoccafisso”) cooked in different traditional ways (stewed, fried, in salad or baked) as well as the famous cappon magro (the traditional Ligurian seafood and veggie salad). It was an old restaurant where in 1973 some scenes of the movie “Scent of woman” with Vittorio Gassmann where filmed. 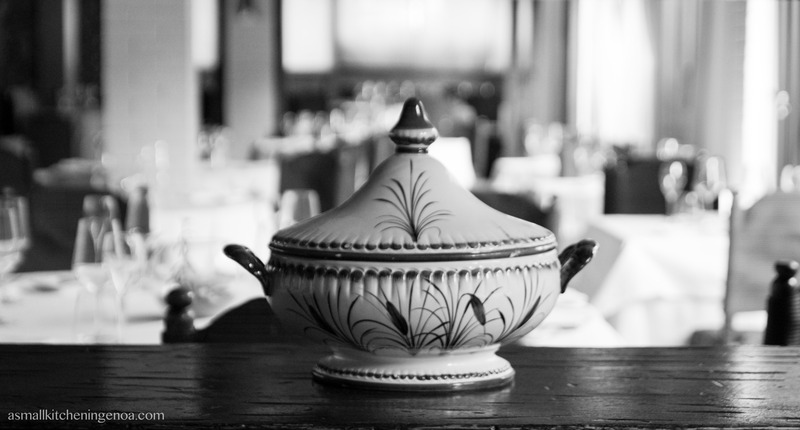 The new young management took over the restaurant in 2014 and made it a very popular place amongst Genoese people. The menu is 100% traditional, few plates that change frequently. Prices here are really affordable and servings quite abundant. This is the reason why, if you are less then 7, you cannot reserve a table and have to que, especially during the week ends. Here you can taste a very good pesto, made on the recipe of the old maiden who won the World Pesto Championship in 2014. This is a milestone of Genoese cuisine. The restaurant opened in 1946, always remained in the hands of Traverso family and recently was included in the list of the historical local business of the city. Here in the decades many celebrities, from politicians to movie and sport stars, dined. The traditional first course not to be missed here is “mandilli al pesto”, very thin and small lasagnas seasoned with basil pesto. Main courses are all very good and made with first quality fresh fish only. Amongst the homemade desserts you can find the “sacripantina”, a delicious traditional cake made with simple ingredients rarely served in restaurants. In this historic restaurant (opened in the 18th century) I had one of the best pesto ever. It was seasoning “trenette avvantaggiate”, a traditional fresh pasta made with whole-wheat flour. Here all products are fresh: all pasta is home-made as well as pesto. Traditional dishes in the menu are made both with fish (such as codfish and anchovies) and meat (such as stewed rabbit) as well as with veggies (such as the various savory pies or the colorful minestrone soup). Closing day: Sunday at dinner and Monday. Located in a narrow alley behind Sottoripa porticoes in front of the Acquarium, this restaurant is one of the oldest in town. It originally opened in 1528! The current management – made of three guys in their thirties – took over the restaurant in 2015 and carry on the tradition. In a very simple and classical ambient they offer dishes prepared like maiden used to. Raw materials are all fresh, local and seasonal. A particular attention is given to see food dishes. This is an example of old stile trattoria. Located at the base of an historical building the single room is big, with a wood ceiling, a square footage and hundreds of old kitchen tools and coppers hung on the walls. The cuisine is for all intents Genoese and some dishes are in the menu since the opening in the sixties: such as pansotti al sugo di noci (traditional ravioli with walnut sauce), minestrone, tripes and buridda (a fish soup). 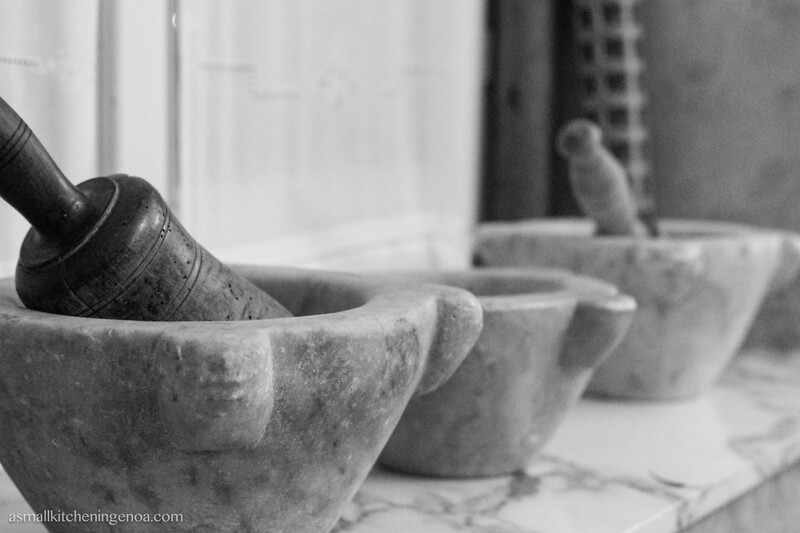 Originally this palce was a reseller of mashed salt, a very precious ingredients in the Medieval Ages and of which Genoa had the monopoly all over Europe and the Mediterranean. At the beginning of the 19th century the place converted into one of the most fascinating trattorias of the city. The place has a vaulted ceiling, the typical Genoese flooring, two big wood ovens, marble counters and wood tables. Here you can taste the real traditional Genoese street food: one of the best farinata (caked chickpea tart) in town as well as focaccia al formaggio (cheese pie),various torte di verdure (veggie savory pies made as tradition rules and slowly cooked in the wood oven) and verdure ripene (stuffed vegetables). The restaurant originally was an ancient paper mill. It was converted into what it is today in 2012 by three young chefs. The environment is warm and cosy, the cuisine traditional but sometimes revised to meet the needs also of vegan and vegetarian guests. Pastas are all home-made as well as bread. Ingredients are seasonal, fresh and of first quality. I suggest to taste gnocchi di castagne al pesto (chestnut gnocchi with pesto) and tomaxelle, Genoese traditional veal rolls. In Genoa Maria is a reference for the traditional cuisine. It celebrates this year its first century. This was and still is an honest, low cost, popular local restaurant. From this restaurant passed many VIPS and its fame spread beyond the Italian borders. Le Monde and the New York Times mentioned this place. It’s a very easy place. At its table, wrapped with red and white checkered paper tablecloth, you can eat only plates of the traditions, cooked in a familiar way and 100% homemade. From ravioli al tocco (ravioli with meat souse) to soups, from stewed tripes to savory pies. closing day: none. But no dinner on Sunday, Monday and Tuesday. C’era Una Volta (“once up on a time” in English) is a relatively new restaurant, founded in 2013 by two young dreamy women. It’s located at the first floor of an ancient building in the historic center and inside you fill like having been invited to eat at your Italian granny’s home: rochet tablecloth, damask linen, plates all different from each other, cofffee served in an vintage cup set. The cuisine goes along with the furniture: the dishes are all home made, recipes are the secret ones of the founders’ grannies. All raw ingredients are strictly fresh, local and seasonal. Not to miss their home made fresh pasta, the ravioli with meat sauce and carne all’aggiadda, a chicken fillet cooked in the oven and served under a coat of caramelized onions. The co-owner of this restaurant, Roberto Panizza, is well known as the best sponsor of Genoa pesto in the world as he is the organizer of the World Pesto Championship and one of the biggest local producers of pesto marked “Rossi”. Pesto here is a guarantee. But not only that. Minestrone, for example, is excellent, as well as zimino di ceci (chard and chickpea soup) and homemade ravioli. As main course you can taste codfish, tripes or meatballs made with Cabannina, a Liguria slow food presidia cow meat. They also offer a good selection of local wines. Since five generations Zeffirino is a brand of Ligurian kitchen in the world with a restaurant in Las Vegas too. It hosted at its table people like Frank Sinatra, Prince Ranieri of Monaco, Bush, Celine Dion, Wojtyla Pope. Pesto is the preparation this restaurant is most famous for but also all the other traditional specialties are excellent including of course fish, always fresh, and cooked in every manner at the moment. The restaurant is very elegant and can be quite expensive. The kitchen is open from 12:00 am to 12 p.m no stop, which is something remarkable in Genoa. This restaurant, the third of a series of popular restaurants in Genoa of the same group, opened in 2016 and offers a selection of the most famous Genoese dishes prepared with first quality ingredients and according to tradition. Pasta and bread are 100% homemade. During the warm season there is also an outdoor patio. The breathtaking view of the entire city from the terrace of this informal but stylish restaurant is worth the trip. Even better if you get to this historic place (opened in 1913) located on the green and peaceful hills clinging on the city by the old red funicular way, one of the first built in Italy (it is called funicolare Zecca-Righi and you can take it just at the border of historic center, in Piazza della Zecca). Here you can taste traditional Italian Riviera cuisine as well as pizza (more that 20 different seasoning) and farinata (baked chickpea flour tart). This restaurant is located in the small ancient fisherman village of Boccadasse, just 4 km far from the city center and popular leisure destination both for tourists and for Genoa people. Neat and cozy, with a familiar atmosphere, Osvaldo offers a selection of the most popular Italian Riviera dishes. During summer time tables are placed in the tiny square in front of the door, which is very romantic. So, if you are planning a visit to Genoa now you have some sincere directions for finding a very good traditional restaurant for locals (not for tourists only!). But if a good meal is not enough for you to get in touch with the culinary tradition of a place, why don’t you try a Genoa food tour a or an Italian Riviera cooking class? I would be please to make you fall in love with our food culture! Do you want just to peek? Have a look at the special contents on my Instagram stories!